Here’s the all new second trailer for Netflix’s Lemony Snicket’s A Series of Unfortunate Events. The series premieres January 13, 2017 on Netflix. Based on the internationally best-selling series of books,Lemony Snicket’s A Series of Unfortunate Events chronicles the turbulent lives of Violet, Klaus, and Sunny Baudelaire after their parents’ untimely death in a fire. A careless oversight initially places the children in the custody of a distant relative named Count Olaf, a mysterious and devious figure who is seeking fortune by way of stealing their inheritance. After his elaborate plans are foiled and his evil intentions are revealed, Count Olaf (Neil Patrick Harris) employs a variety of outlandish disguises to situate himself in the children’s path, causing mayhem for the Baudelaire’s and their subsequent guardians. 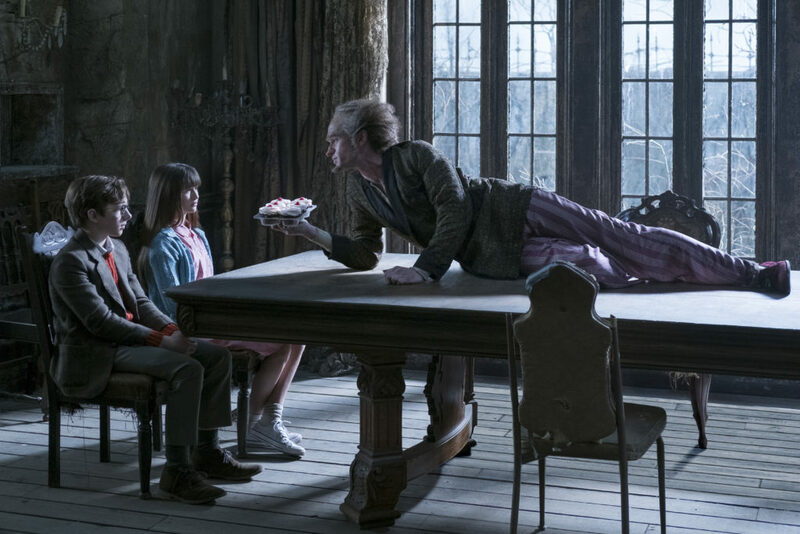 As the children manage to evade Count Olaf’s scheming attempts to steal their fortune, they pick up clues along the way about their parents’ past. The series is created by Daniel Handler (author of the Lemony Snicket series of books) and executive produced by Handler and Emmy winner Barry Sonnenfeld (Pushing Daisies, Men in Black, The Addams Family). Along with Harris, the series also stars Patrick Warburton (Lemony Snicket), Malina Weissman (Violet), Louis Hynes (Klaus), Presley Smith (Sunny), Joan Cusack (Justice Strauss), Alfre Woodard (Aunt Josephine), Catherine O’Hara (Dr. Orwell), K. Todd Freeman (Mr. Poe), Aasif Maandvi (Uncle Monty), Don Johnson (Sir) and more.